HAMILTON, N.J., April 20, 2017 (SEND2PRESS NEWSWIRE) — Just as sure as the sunrise, it’s guaranteed to happen every Spring. They promise to clean all the carpets in your house for $59. Sound too good to be true? It probably is, says the top exec at AllstateCleaning.com in Hamilton, New Jersey. To make matters worse, they finally show up – three hours late – in a beat-up pickup truck with no company name, and hop out in torn jeans and a soiled tee-shirt. Then you realize it: you’ve been the victim of a bait and switch campaign. What is bait and switch? Bait and switch scams work like this: a company advertises cleaning a roomful of carpet for a ridiculously low price. When they arrive, they inform you the price they quoted is only for the traffic lanes and doesn’t include any cleaning chemicals. ”That’s like taking a bath with no soap,” says senior textile inspector Rodney Mortillaro at AllstateCleaning.com. So you agree to pay extra for the chemicals because you are thankful someone showed up. In the end, the final bill ends up costing you hundreds of dollars. Another typical scam is hearing that a company will clean a set amount of rooms for a very low price (like 5 rooms for $49). After they begin, you discover a linen closet, hallway, foyer, or regular closet counts as a room, and you wind up paying a lot more than you thought you would. Bait-and-switch scams are especially targeted at the elderly. Seniors are more likely to be intimidated by high pressure tactics and by someone who “promises” to give then a good deal. 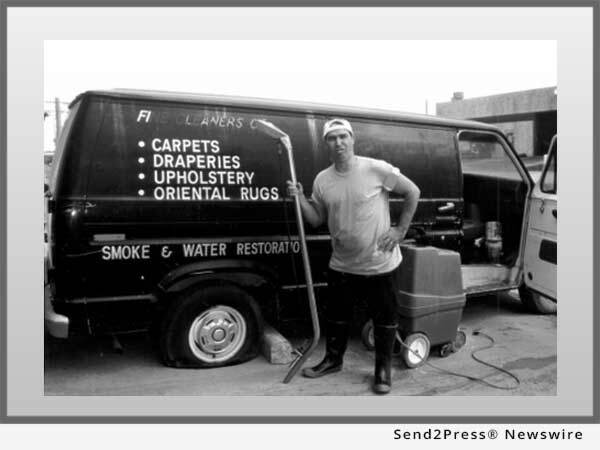 The latest carpet cleaning ruse is promoted through deal-of-the-day websites. That’s where you’re offered 3 rooms of carpet cleaning for $50. To take advantage of this offer, you have to prepay for a non-refundable certificate that expires in 90 days. Also, the website that makes the offer IS NOT responsible for the quality of the work. Plus all sales are final. What you don’t know is that most companies that do this went into business yesterday. Then, they have to give half of the $50 or $25 to the deal-of-the-day websites. Do you really think that they can afford to clean 3 rooms of carpets in your house for $25 and still make a profit? Of course not. Most of the time, they don’t even show up for appointments. If they do show up, then they’ll tell you that you’re going to get a quick dash and splash job that just uses water. If you want a better job, you’ll have to fork up more money for them to use a cleaning chemical. Or they get so many calls, they’ll book you out three months in advance and then the certificate expires. If they do show up, the job won’t be guaranteed. If you complain about them to the Better Business Bureau, , Yelp or Google+, that’s OK. They’ll be in business tomorrow under another name as quick as you can change your socks. Then they’ll do it all over again. One reason why they may clean for such a low price is the cleaners might be gang members or illegal aliens with criminal records. Entering your home allows them to “case” your home to plan a future burglary or home invasion. Also, they may sell your credit card information to an identity theft ring. So how can you avoid a becoming a crime victim or being scammed by a bait and switch carpet cleaner? The best protection against bait and switch is to ask some pointed questions before the cleaner arrives at your home. Call several local cleaning companies. If the company cannot answer simple questions, move on to another company. Remember, if it sounds too good to be true, it probably is. Are you certified in carpet cleaning? If not, what type of formal training do you have? Can you provide a link to consumer online reviews or references I can call? Can you provide proof of insurance and a business license? What steps will be included in your cleaning process? Do you offer free, no-obligation, on-site written quotations? Do you offer a written, satisfaction or money back guarantee? ”When you have decided on a cleaner, make sure you pay your bill with a major credit card. Sometimes it’s difficult getting a cleaner to come back to fix a problem after you’ve paid the bill. Paying by credit card will give you an option to dispute the bill if the problem is not resolved to your satisfaction,” says Mortillaro. Based in Hamilton, N.J., AllstateCleaning.com is Central Jersey’s leading certified organic carpet cleaning, upholstery cleaning, drapery cleaning and floor cleaning company. The firm is a family-owned, criminal-, drug- and alcohol-free organization. The company is a member of the Institute Of Inspection Cleaning & Restoration Certification, the International Cleaning Restoration Association and the Carpet & Rug Institute’s green seal of approval program. Over the last three decades, almost every major carpet mill, hard flooring manufacturer, and nationally recognized concerns across the nation has engaged its services. They have an IICRC Certified Master Restorer and Senior Textile Flooring Inspector on staff and offer certified textile and flooring inspections, lab analysis and court testimony. "When you have decided on a cleaner, make sure you pay your bill with a major credit card. Sometimes it's difficult getting a cleaner to come back to fix a problem after you've paid the bill," says Rodney Mortillaro at AllstateCleaning. Based in Hamilton, N.J., AllstateCleaning.com is Central Jersey's leading certified organic carpet cleaning, upholstery cleaning, drapery cleaning and floor cleaning company. The firm is a family-owned organization. The company is a member of the Institute Of Inspection Cleaning & Restoration Certification, the International Cleaning Restoration Association and the Carpet & Rug Institute’s green seal of approval program.